French novelist Gustave Flaubert once said, “Travel makes one modest. 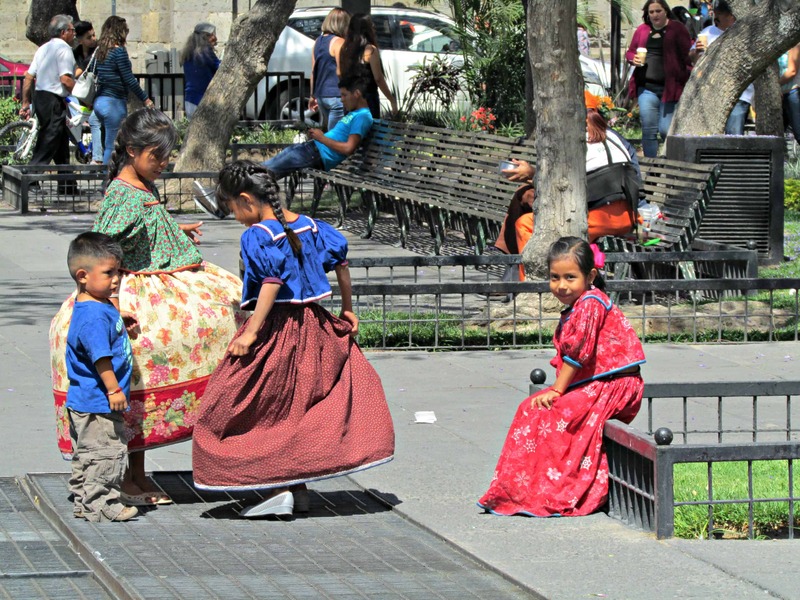 You see what a tiny place you occupy in the world.” I had to agree with him while visiting Guadalajara…sprawling in every direction, it is larger than life. 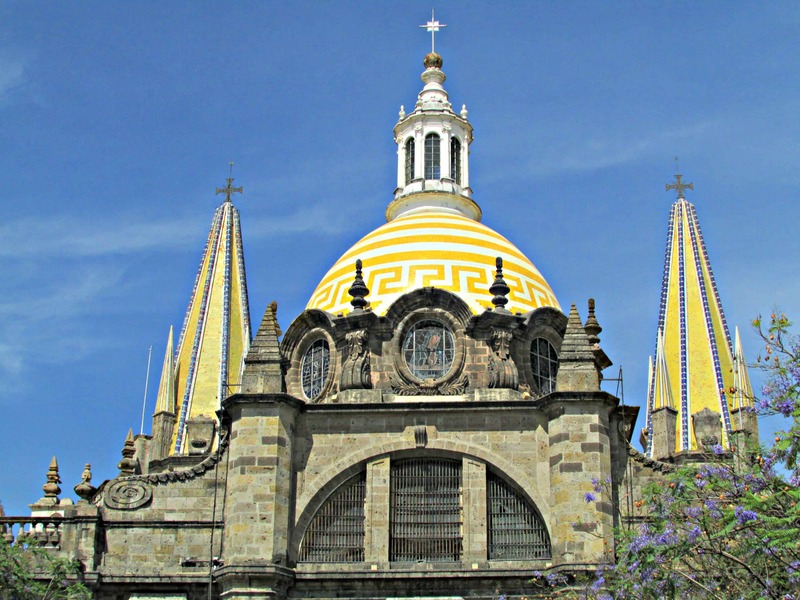 Guadalajara, Mexico’s third largest city, is rich with history. Colorful and vibrant, teeming with an abundance of energy, it pulsates with life. The home of Mariachi music, it marches to its own drumbeat. I see why people fall in love with this effervescent city. Recently while visiting the village of Ajijic, I had the good fortune to spend time in this high-spirited city. I am smitten and can’t wait to return. While there are many reasons to visit Guadalajara, I’m sharing my top six picks within easy walking distance. Named as a World Heritage Site by UNESCO in 1997, this former House of Charity and Mercy is a world renowned art museum. Originally designed to provide shelter and care for the poor, sick, and orphaned, its focus changed several times over the years. It was officially converted to a museum in 1980. The architecture alone is worthy of a visit…23 courtyards with long, arched, shady passageways. 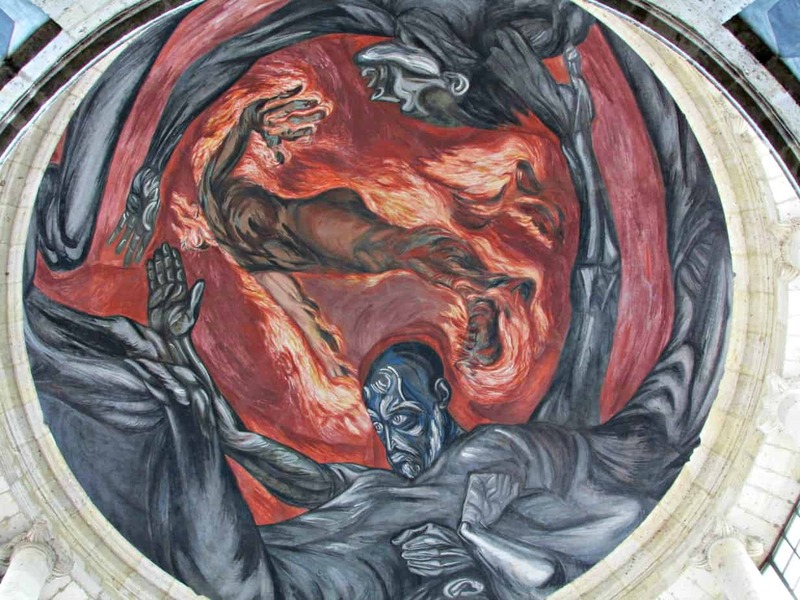 The impressive rotunda with its Man on Fire fresco and the main chapel, house the largest collection of frescoes painted by Jose Clemente Orozco. The breadth of work is staggering…57 frescoes completed in two years. 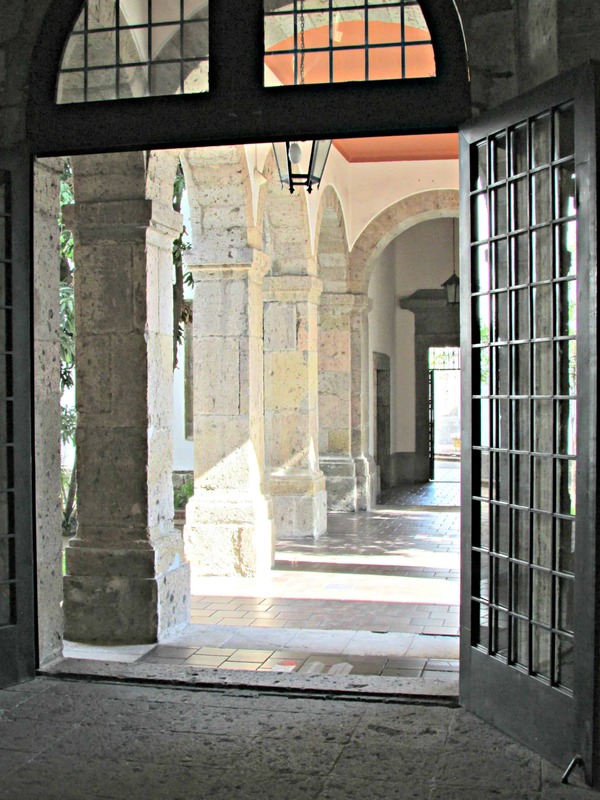 Guided tours of Hospicio Cabanas run every 30 minutes- $5 US. Wear comfy shoes, the museum is enormous. Calle Cabanas 8, Plaza Tapatia. 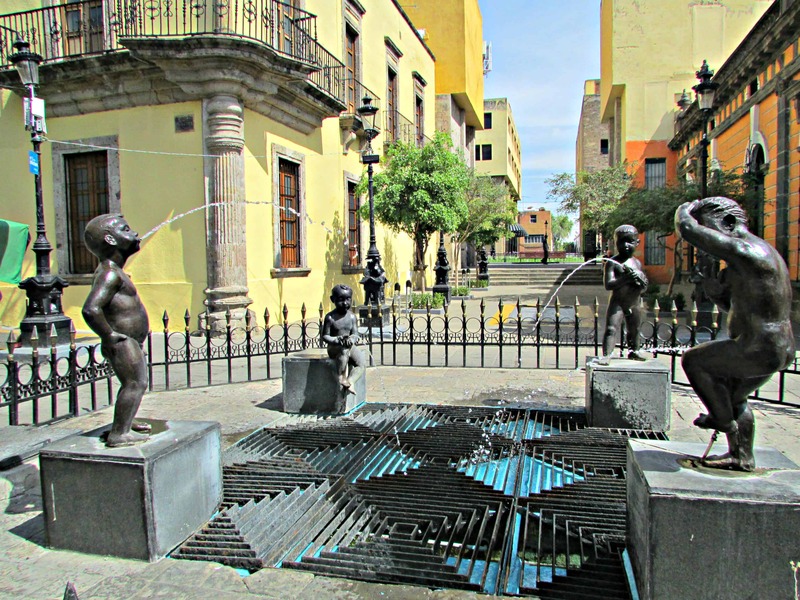 Designed by local artist Alejandro Colunga, these interactive sculptures are delightfully whimsical. Colunga wanted to create a fun environment encouraging everyone to touch, sit, and feel. He succeeded. 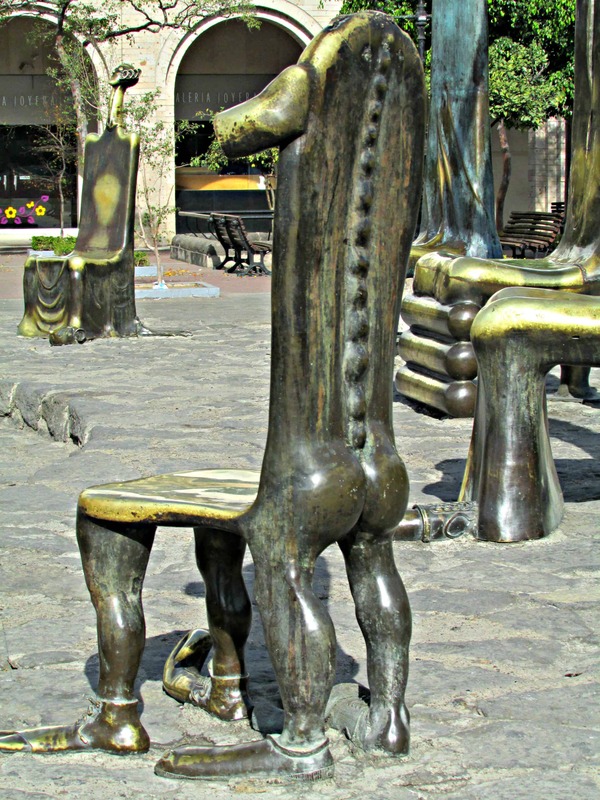 I laughed as people approached and gingerly sat on a chair or a bench which might have human feet, a head, or other body parts as components of the sculpture. Otherworldly and well loved, with worn patina from attention received over the years. Be ready to be amazed. Located on the Plaza in front of The Hospicio Cabanas. I am a market girl and this market just dazzled me. 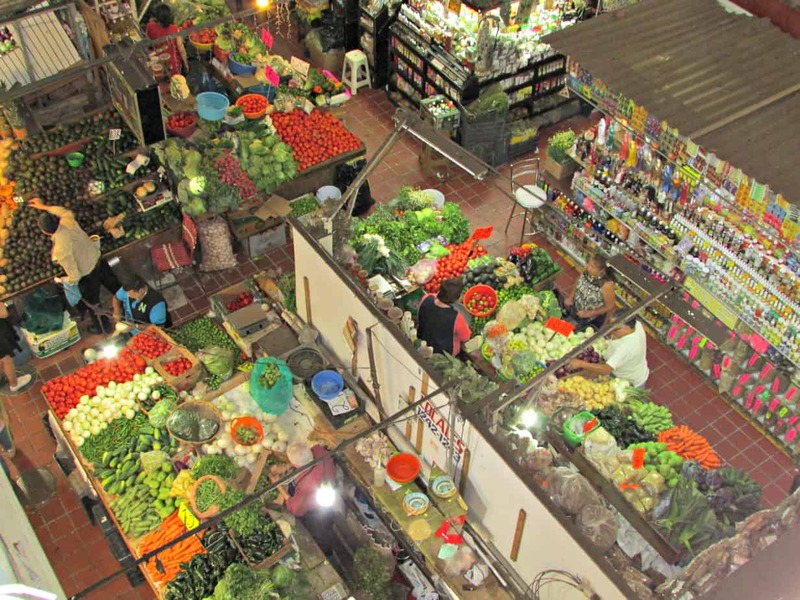 At 40000m (almost 25 miles) with three levels and 3800 stalls, it’s the largest indoor market in Latin America. There has been a market on this site since 1880…this building has been operating since 1958. It is easy to get lost navigating the narrow, twisting, turning aisles…and that is not a bad thing. There is a method to the madness. You’ll find food products and local crafts on the first level, small restaurants and food stalls on the second, with everything else on the third. If you fancy a bright blue, hand tooled, leather saddle, you’ve come to the right place. Any type of shoe, clothing, electronics…head to the third level where haggling is encouraged! The wafting aroma of food from the second floor interrupts serious shopping, so fortify yourself before browsing. You can’t go wrong. Calz Javier Mina No 52. No need to worry about traffic when walking the broad avenues created for pedestrians. There are blocks of parks and squares designated for foot traffic. Beautifully maintained, they house fountains, enormous statues, and sculptures. Manicured trees shade benches where parents rest while children play. Known as a meeting place for friends and families, it has a happy vibe. 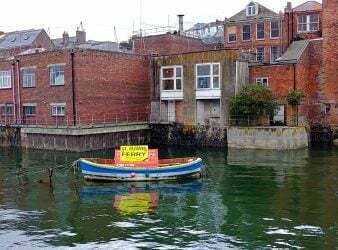 This is the ideal location for watching the crowds stroll by. Of course, there are street vendors selling treats and trinkets. This is the perfect time to take a break and indulge in a tasty Mexican treat…or two. Easy to find, the area begins in front of The Hospicio Cabanas. Also known as the Metropolitan Cathedral, the majestic church we see today sits on the site of the original church built in 1541 and destroyed by fire. Started in 1561, finished in 1618, the Cathedral has had its share of problems. The towers have toppled twice and the dome destroyed by an earthquake. Due to rebuilding, the Cathedral blends several architectural styles which gives it character. Earthquakes over the years have created visible structural damage. One of the towers has a slight tilt. Hopefully this much loved Cathedral will continue to watch over the city for many years. Av. Alcalde- Head toward the towers while strolling the pedestrian area. Whether a sizzling sunny day, or a chilly star filled evening, a horse drawn carriage ride through the city provides an entertaining way to view the sites. Sharing a carriage with someone special…a romantic treat. Not just for couples though, friends and families enjoy the Calandria as well. Carriages are both open and enclosed, the weather dictates your preference. Your guide provides commentary on key points of interest during the journey. The average length of a Calandria ride is an hour and a half. 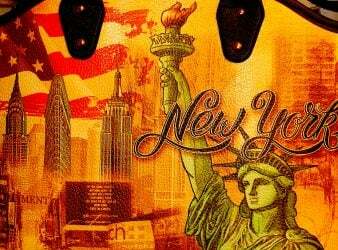 The price can vary but $20 US per person seems to be the going rate. Agree on the price before stepping in to the carriage. You’ll find Calandria by the Guadalajara Cathedral. Just listen for the hypnotic clip clop of the horse’s hooves. 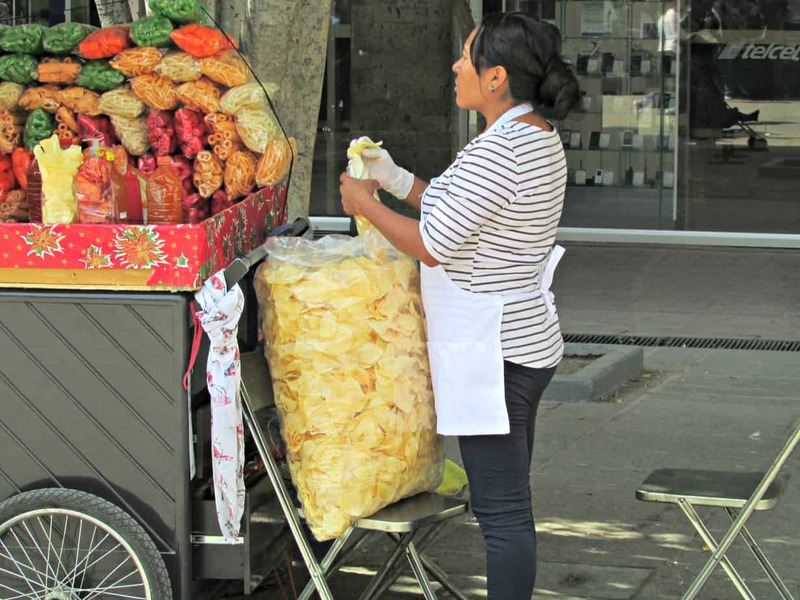 My brief time in Guadalajara left me wanting more. You’ll find warm, friendly people and a joyous vibe that one must experience…at least once. I am looking forward to spending a lot more time in this magical city. 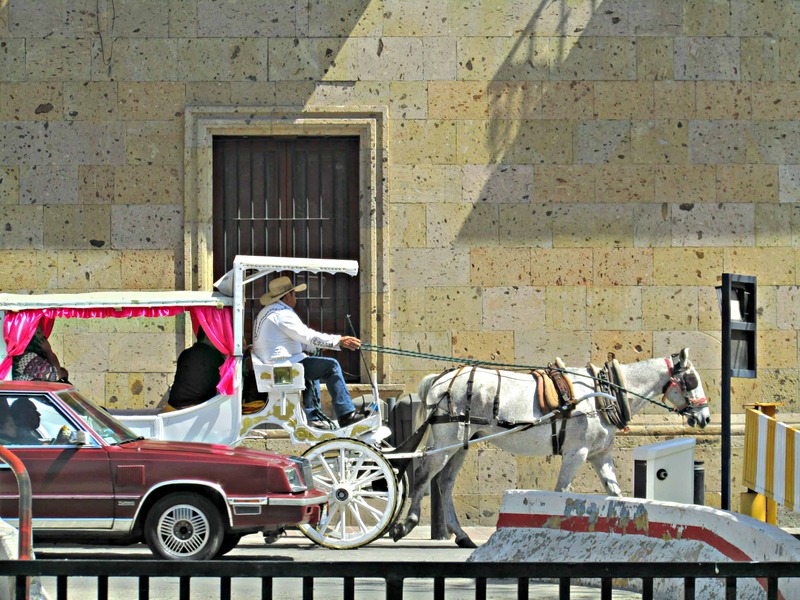 One day gives you a taste of the magic that is Guadalajara. If you choose to extend your stay Guadalajara has accommodations to fit every budget. You’ll find what best suits your needs on TripAdvisor, a MilesGeek affiliate. 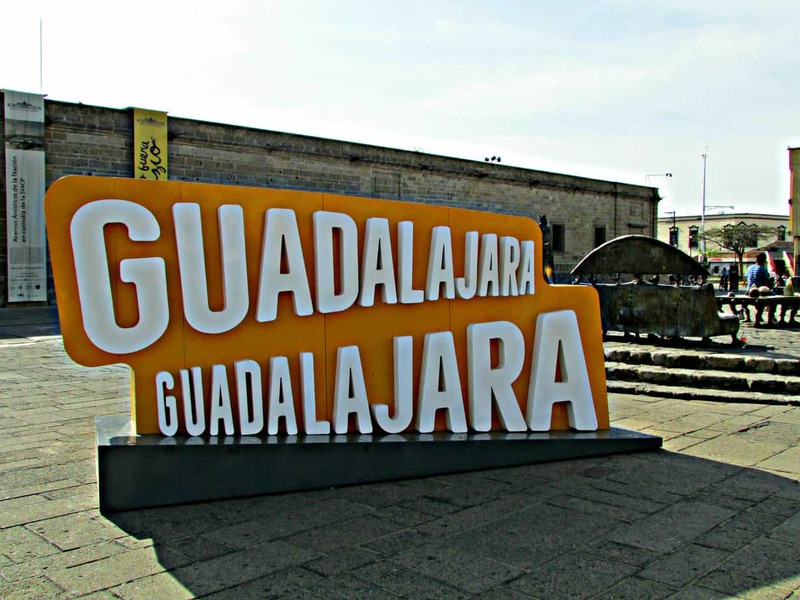 Yes, Guadalajara is a city that never will leave your heart! We’ve had the privilege of visiting often, while working as consultants in the region. Our boss and a colleague with his charming wife would take us along during the weekend. No words can describe the joy of enjoying lunch while Mariachis are playing. You bet, they can update any Sunday and make it looks so festive! Wish that all people could once in their life feel the vibe of true passion for life like they manage to do in Guadalajara! Hugs to you and thanks for sharing this gem.